I want to display a large score-counter in the middle of my scene. 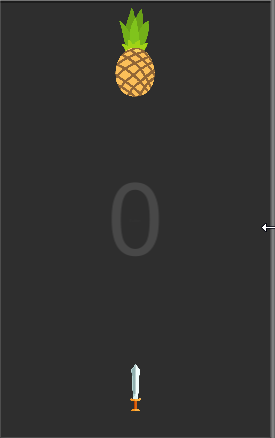 However, I notice that my GameObjects are moving underneath the Score-counter. At this time, I want to reverse that, but I didn't found any "Sorting-Layer" option in the UI Elements. I would be grateful for some help! I dont understand exatly what you mean... its a 2d game? Must the score panel move with the camera? And you want it under the game gameobjects? Then you can make a new canvas and set ta high number for the distance from the camera. you can choose if you’re using sprite renderer what object is in front. getComponent<SpriteRenderer>().sortingOrder = -1 //if in back. I'll assume you are using the current UI System, and not the legacy IMGUI system. A. Make the Canvas a World Space Canvas. Then just place it behind your sprites, in front of your playfield. B. Or alternatively, set your Canvas to "Screen space - Camera". Then push the Plane distance behind your sprites. This might be easier.